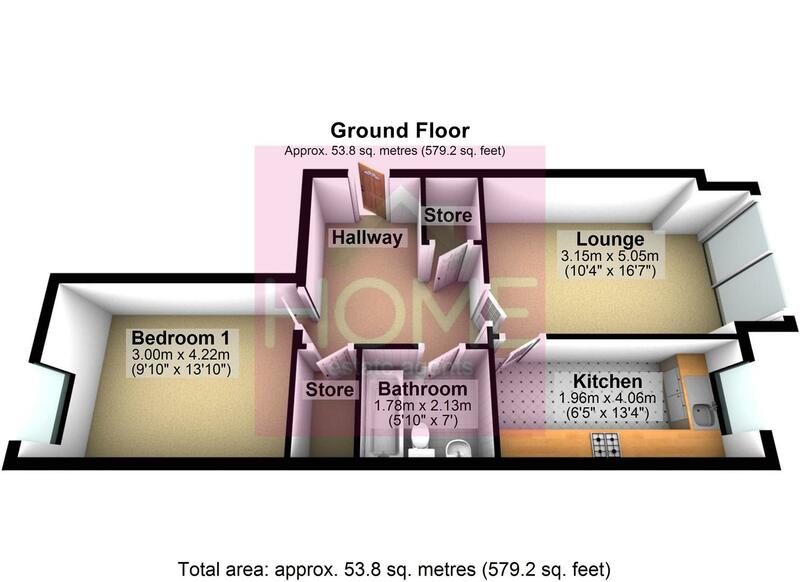 GROUND FLOOR FLAT! HOME ESTATE AGENTS are delighted to bring to the market this well presented one double bedroom ground floor flat situated within the peaceful Woodbank Court. Situated within the pleasant gardens, we feel an early viewing is essential to appreciate what there is to offer. IN brief the accommodation comprises pleasant hallway, lounge with access to the communal gardens, modern fitted kitchen, the double bedroom & three piece bathroom. The property is double glazed & is warmed by electric convector panel heaters. Externally there is ample off road parking for residents & visitors as well as maintained gardens. Perfectly placed for Trafford General Hospital & a short distance from Urmston town centre. To book your viewing call HOME on 01617471177. Door from the communal hallway. Wooden effect floor. Two built in storage cupboards. Double glazed patio doors leading to the communal gardens. Electric convector panel heater and television point. A comprehensive range of matching fitted wall and base units with a rolled edged worktop over. Integrated four ring electric hob, oven and extractor fan. A single unit sink with mixer tap and splash tiling. Space for other appliances. Double glazed window to the rear. Double glazed window to the front and electric convector panel heater. Television point. A three piece suite comprises low level WC, wash hand basin and bath with shower over. Tiling to compliment, uPVC splash back, ladder radiator and built in storage cupboard. Externally there are pleasant gardens benefiting from a mainly lawned area & sunny aspect. There is ample off road parking for residents and visitors. We have been advised by our clients that the property is leasehold. There is an annual management fee of £580 which includes the ground rent and buildings insurance.